We’re all looking for ways to make life easier, right? I’m especially slow in the kitchen, so any assist I can get is helpful. That’s why I really enjoyed experimenting with Isernio’s fully cooked chicken sausages. 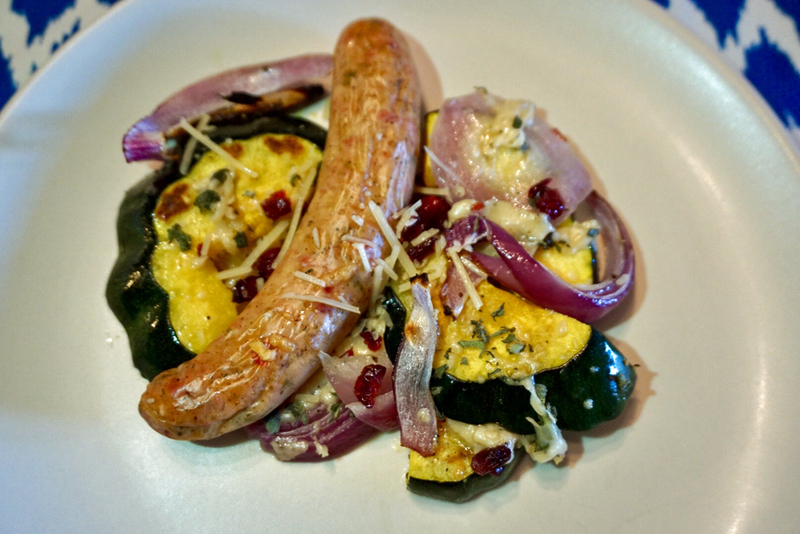 We were recently contacted by Isernio’s – a local company from Kent – to try their new fully cooked chicken sausages. There are three different types: Sweet Italian Chicken with Parmesan Cheese, Caprese Chicken with Mozzarella, Basil & Sun Dried Tomato, and Chicken Apple. All flavors use chicken that is raised with no antibiotics, 100% vegetarian fed, and certified humanely raised and handled. Since the sausages come fully cooked, they are extremely easy to use and it helps save a bunch of time. It’s so simple, we actually tried three different preparations and recipes in a single week. We added the Sweet Italian Chicken with Parmesan Cheese to one of our favorite recipes (that usually asks for raw sausage). We simply roasted the sausages with the other ingredients to heat them up for serving. Reheat the sausages in a skillet with 1/2 cup water on medium-high heat until the water evaporates. Then add 1 teaspoon of oil and brown on all sides. Note: You can also grill Isernio’s fully cooked chicken sausage over medium heat. As for the Chicken Apple sausage, we simply added it to a breakfast scramble. 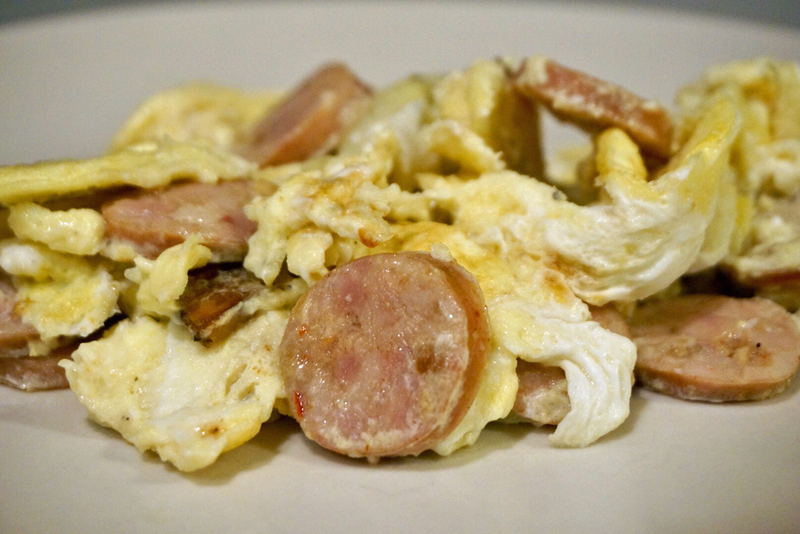 We thinly sliced the sausage, warmed it up, and added eggs and potatoes. That’s only scratching the surface with what you can do with Isernio’s fully cooked chicken sausage. They also suggest using the sausage in pasta and on pizza, or simply serving the sausage whole on a bun or alongside breakfast. All three flavors were tasty and brought life to the dishes we tried. But most importantly, they made life easier for me in the kitchen. I’ll definitely be using them again soon! 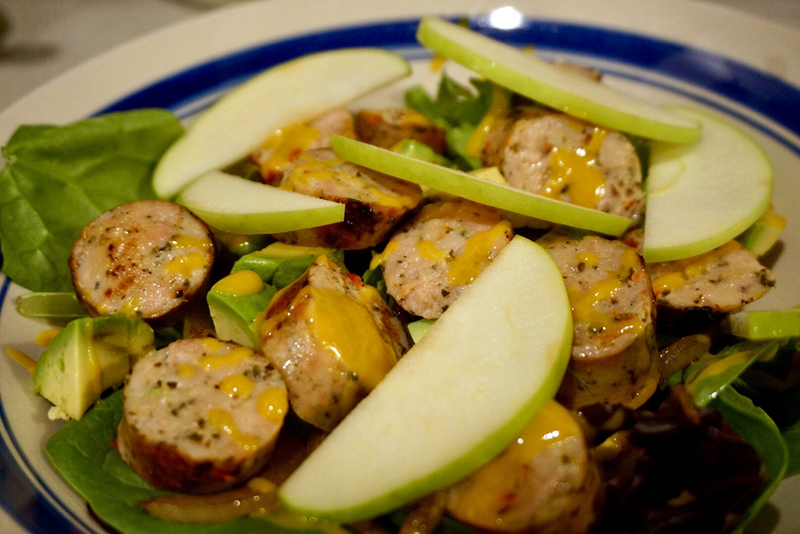 Have you tried Isernio’s fully cooked chicken sausage? What did you make? We’d love to hear from you! Leave a comment below or connect with us on Twitter, Facebook, and Instagram. You can also check out Seattle Bloggers for more great recipe ideas! 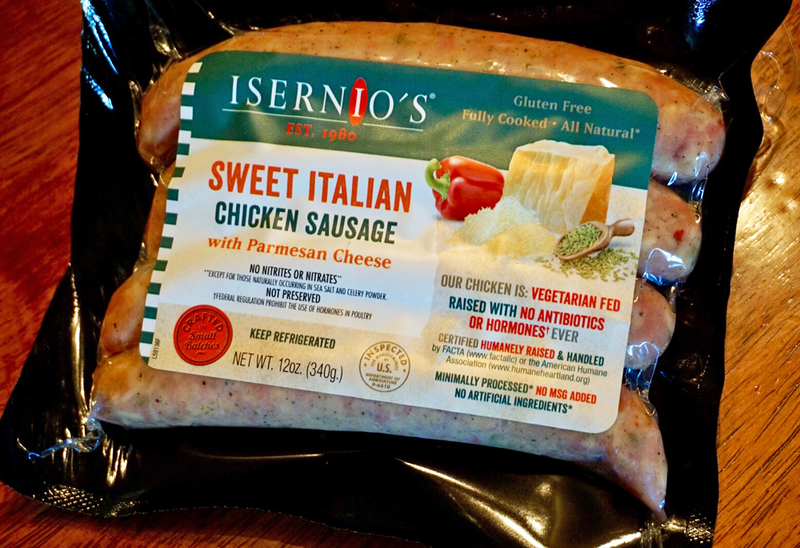 Learn more about Isernio’s fully cooked chicken sausage. 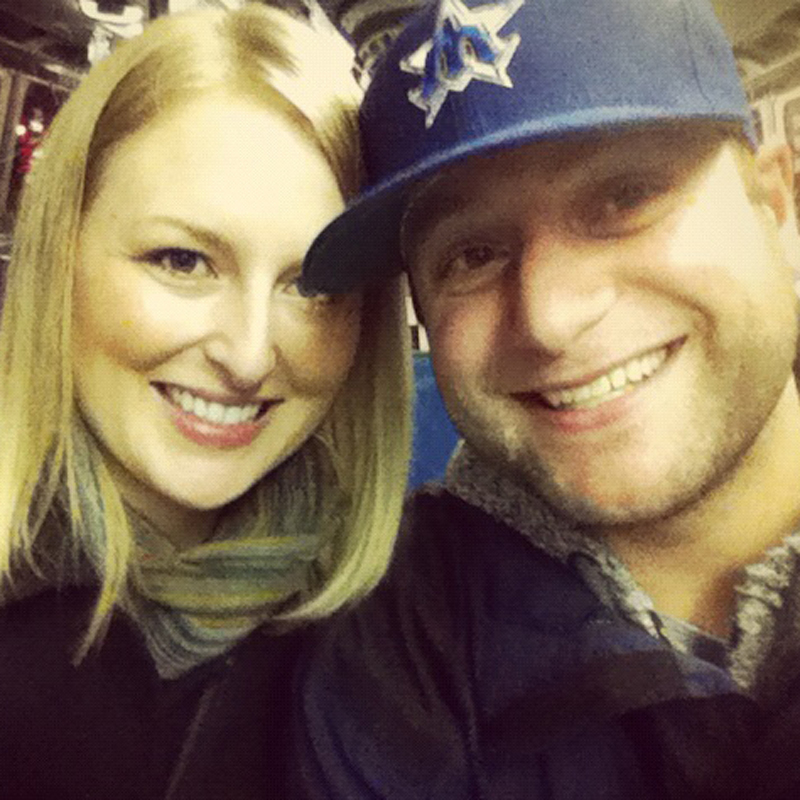 Where do you buy ISERNIO’S…Costco, Winco? Sounds like a yummy idea!